Den Hartog Industries is proud to introduce two new additions to our Free Standing Leg Tank Line. 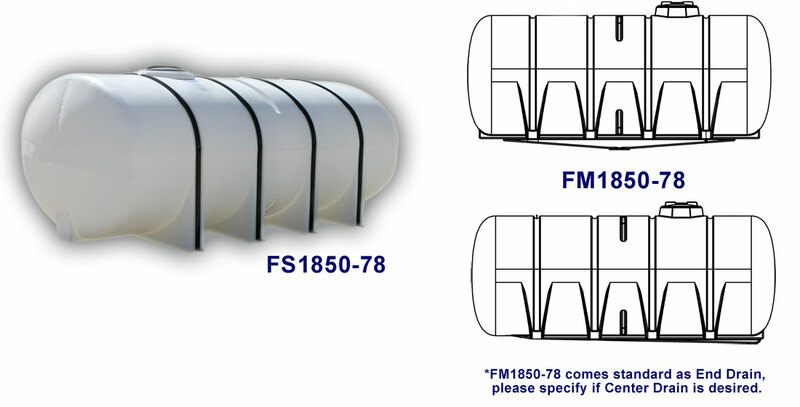 These 1850 Gallon Elliptical Leg Tanks are available in both sumped and flat bottom versions. These tanks are designed for indoor or outdoor, stationary or transportable applications. Sumped version feature a full drain-out sump on one end or a center sump option. Sumped tanks require a skid. Please visit our Free-Standing Leg Tank page to view these new tanks as well as other containment options.